In December of 2010, Transit Action Network lead an effort to get Ordinance 100951 passed to restore funding to KCATA from the 1/2 cent transportation sales tax (officially the “Public Mass Transportation Fund”). Groups representing over 160,000 people, in addition to bus riders, spoke up in support of this ordinance. 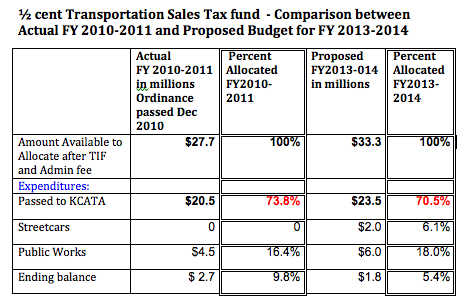 Now the City Manger’s submitted budget for FY 2013-14 doesn’t abide by this Ordinance to restore funding to the Metro. Section 2. 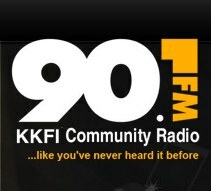 That the City Manager is directed to incrementally increase the current appropriation to 95%, beginning with the budget taking effect on May 1, 2011. 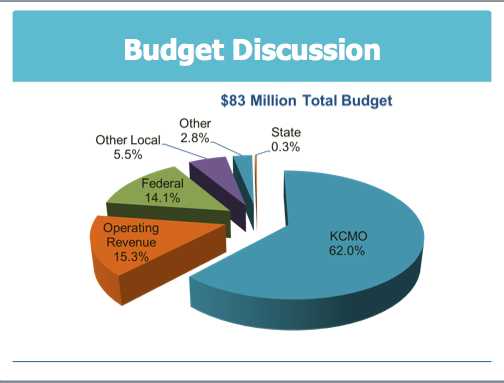 The 95% requirement to restore funding to KCATA has to be met by May 2014, yet KCATA is budgeted a smaller percentage (70.5%) in the proposed FY 2013-14 budget than when the ordinance was passed in December 2010 (73.8%). 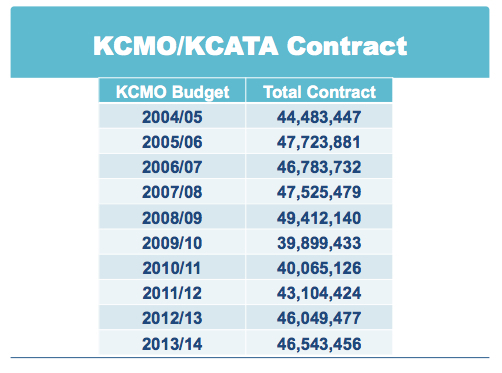 The dollar amount budgeted for KCATA is the same for FY 2013-14 as FY 2012-13. 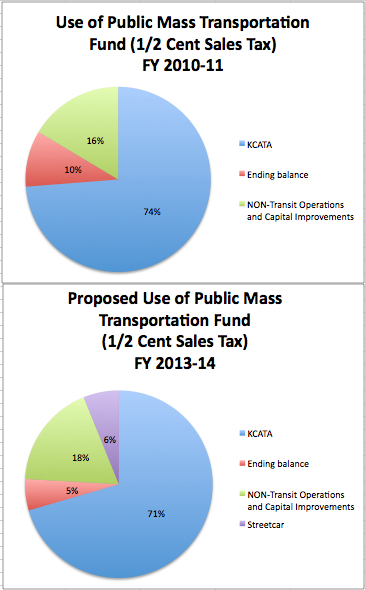 The City Manager’s KCATA budget is going in the wrong direction! It isn’t fair and it doesn’t match the wishes of the voters or the ordinance passed by the City Council. Why do people have to fight the same battles with public officials over and over again? 1. Call your council member or Mayor James to insist that Ordinance 100951 be followed and not ignored. Ask that the KCATA funding be moved close to $29 million (88%) from the Public Mass Transportation Fund, which is appropriate for this step in implementation of the Ordinance, instead of the $23.5 million (70.5%) the City Manager has proposed. 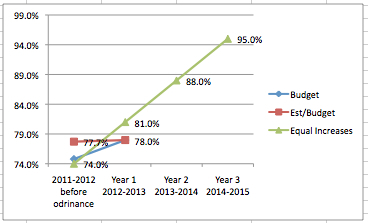 Where is the incremental increase for KCATA? 2. Attend the budget hearings and insist that the ordinance be implemented correctly. 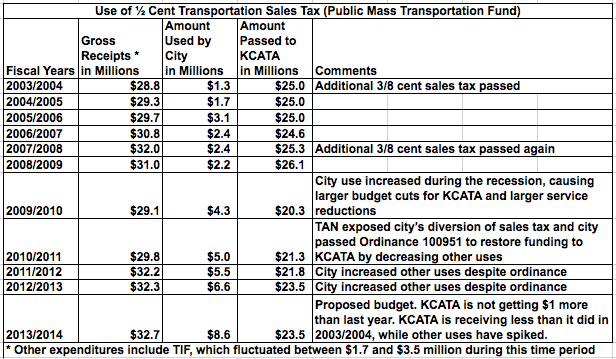 The non-transit uses were supposed to be reduced to allow the KCATA budget to increase. The 1/2 cent transportation sales tax was not supposed to be diverted to non-transit uses when the 3/8 cent transit sales tax was voted in. In fact, the non-transit uses have gone from $4.6 million in the year the ordinance was passed to $6 million for the proposed budget. 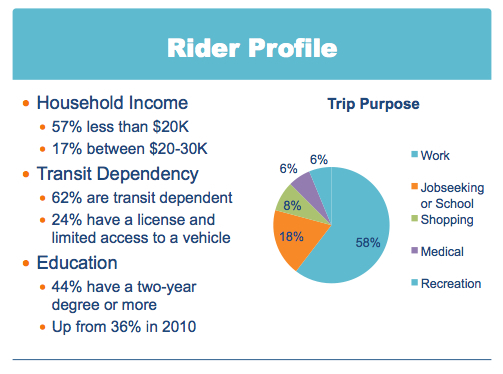 KCATA is providing more transit service than the city is paying for by using up its reserve account. Their other choice is to significantly cut service again and no one wants that. The reserve account was used to help out in the recent financial crisis, but this shouldn’t still be happening. There is a serious need for the Ordinance to be implemented and the city should stop dragging its feet, pay its bills and provide the essential transit service the voters want. In addition, the city has taken the $2 million it committed for the streetcar from this fund. The $2 million for the streetcar is a long-term yearly commitment for the city. TAN has alerted the City Auditor, Gary White, to this situation. Part of his job is to “alert city officials to potential problems that could undermine the public’s trust in City government.” Not abiding by this ordinance certainly falls into that category. 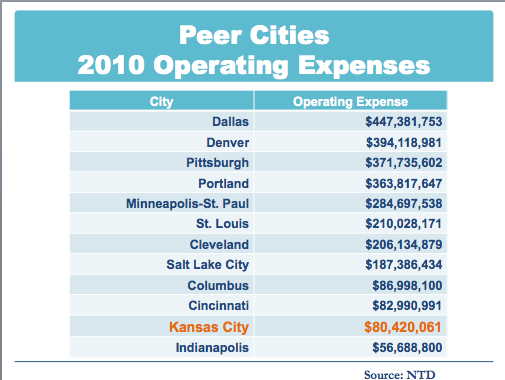 The full Manager’s Budget can be found online in the City’s Open Data Catalog at http://data.kcmo.org.